What a heart-wrenching film! It really succeeds because it's so raw. Nothing is "prettied up" in the movie. Precious' life is as bad as it gets (16 with 2 kids by her father, one who is retarded, she's obese, illiterate etc etc). Definitely not for the lighthearted. 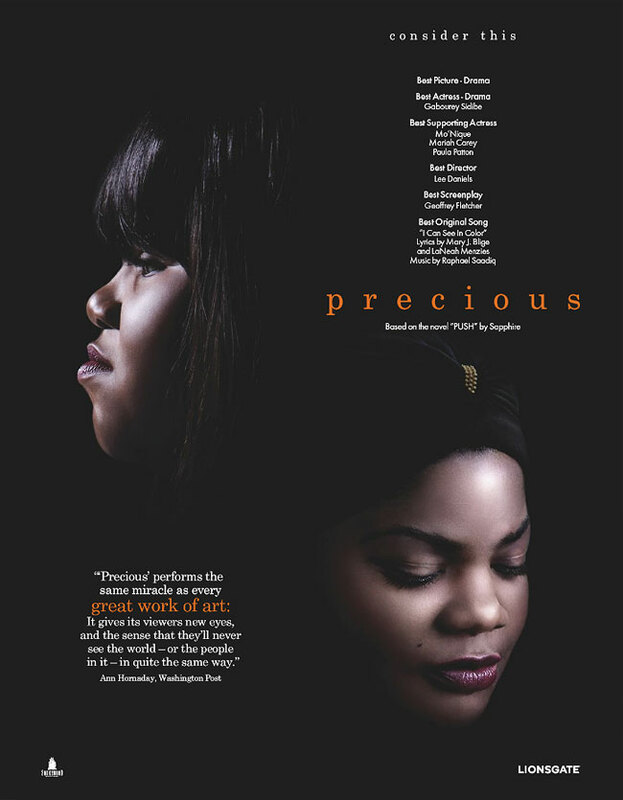 As far as Oscar buzz goes, "Precious" is currently a lock for nominations for Best Picture, Actress, Supporting Actress and Adapted Screenplay. The other strong possibility is Best Director. The highlight for me was definitely Mo'Nique's performance. As a comedian, she played the evil Mary Jones so well, it's actually scary. If she doesn't win Best Supporting Actress at the Oscars, then something's really wrong. This one's coming a bit early, as I'll be travelling for the next 2 days. The 16th Annual Screen Actors Guild awards will air on TNT and TBS on Saturday Jan 23rd at 8pm ET. We've all seen movies where they say things and you think "Oh Come On!" or "Did he/she really just say that?". Here's a cool youtube vid that compiles many of those great quotes. Enjoy. This was another one of those really fun films. It had everything - humour, action, romance and of course, mystery. Robert Downey Jr completely owned his role. It was perfect for him, as he is just so charismatic. Jude Law was also good as his bumbling sidekick. I can't really think of anything else to say, but if you're looking for a good time at the movies, go watch "Sherlock Holmes". Now on to Round 2 and it's a big one - The Golden Globes. I have altered my choices slightly from my Critics Choice predictions, though I am still predicting Clooney to take this one. Avatar won't make as much of a mark here, since there are no technical awards. The 67th Golden Globe Awards will air tomorrow night at 8pm ET on NBC. Roll out the red carpet, it's awards time! We have the Critics Choice Awards tommorrow and then the Golden Globes on Sunday. Here are my predictions for the Critics Choice Awards, tune in tommorrow on VH1 at 9pm ET to see how it all goes down! Well, James Cameron waited 10 years to develop the technology required of this film, and it was well worth the wait. This film is a visual masterpiece. Throughout the entire film, I was just in awe (imagine if I had seen it in 3D!). The depth and scope of the fictional world of Pandora is breathtaking. It is so intricate and rich, that you would think they were filming a real place, rather than computer-generated images. Speaking of CGI, the motion-capture technology used to create the Na’vi completely blew my mind. Now I really understand when they say certain movies are “ahead of its time” because the film was out-of-this-world. Zoe Saldana is getting some late Oscar buzz and I can definitely see why. She did a great job creating this Na’vi persona, beautifully blending human-like English speech and emotions with alien nuances. While she’s just a possibility in the acting categories, Avatar will be a heavyweight contender in the other main categories. I have now seen all of the “big five” (Avatar, Up in the Air, Precious, The Hurt Locker and Inglourious Basterds) and I think this will be narrowed down to Avatar, Up in the Air and The Hurt Locker when awards season really heats up with the Golden Globes next week. The Best Picture winner will depend on the mood of the voters as the 3 main contenders each bring something unique to the table. Well, this one isn’t really a serious Oscar contender for Best Picture, but it got a Golden Globe nomination, so it’s noteworthy enough. The best chances at Oscar glory are Supporting Actor (Baldwin) and Original Screenplay, but it's unlikely. Ironically, Streep eliminated her own chances for a nomination, due to her superior performance in "Julie and Julia", for which she has basically secured an Best Actress nomination, if not the win. This film was a pleasant surprise. I thought it would be just another “run-of-the-mill” romantic comedy, but it actually had a pretty good story behind it. Like “(500) Days Of Summer”, this movie (as you can guess from its title) tried to show how complex love and relationships are. It was a delight from start to finish, with Meryl Streep her usual wonderful self and John Krasinski providing his great comedic timing as well. Add well-known funnyman Steve Martin in the mix and you get some truly hilarious moments. This movie has everything you want from a romantic comedy, with lots of laughs and those “aww” moments too. So if you like romantic comedies, I recommend “It’s Complicated”. I thought I wasn't going to find a new "Movie of the Week", but at the last minute I found one - "Brothers". This film shined where I thought "Up in the Air" lacked the most. Whereas I found "Up in the Air" to be just "one-note", "Brothers" was engaging, with the film building up like a crescendo towards the climax at the end. Once again this film was powered by a strong cast, who were able to effectively portray the wide range of emotions that war can cause. I mean, imagine sending your husband off to war, where he dies, only to find out later that he's actually still alive! 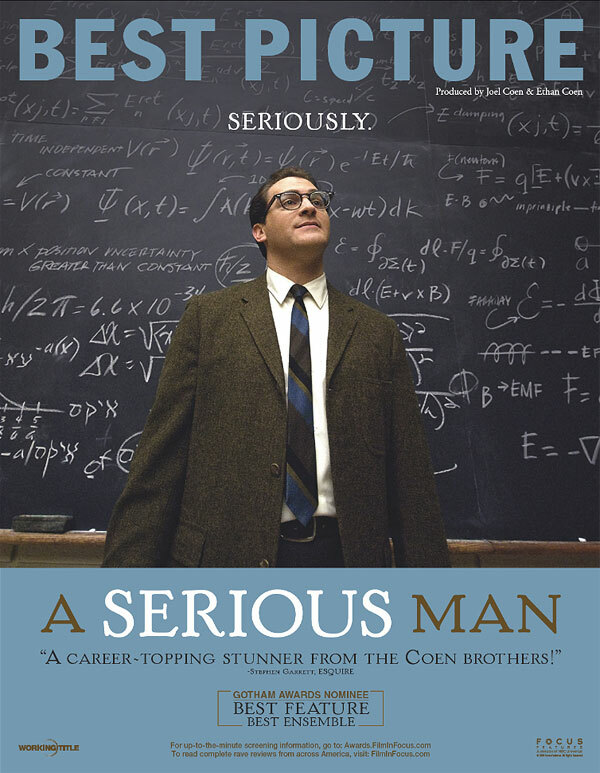 People (including me) were surprised by his Golden Globe nomination, but Tobey Maguire really does a good job at showing the trauma-induced changes to one's personality and relationships upon returning home from war. There are scenes in this movie that really build some serious tension and you find yourself going through all the emotions with the characters. In addition, the screenplay allows for good character development, so you can really understand what all the characters are going through and are able to sympathize with them. Overall, a surprisingly good film, definitely worth a watch. Wow, what a disappointment. After all the hype, I expected to be blown away. Unfortunately, I was far from impressed. Throughout most of "Up in the Air", I was wondering "Am I watching the right movie?". The film was just so monotone. Though it picked up in the end, I felt like everyone was just "going through the motions". I am still trying to think of something that I liked about the movie that merits some of it's Oscar buzz. None of the actors stood out to me, the screenplay was pretty average, costume design was none-existent (my Dad even pointed out that the characters were wearing the same tie), the cinematography was forgettable, but wait...the score was good! So overall, a very average movie. It actually upsets me that this film is possibly the front-runner for Best Picture, as I wouldn't even put it among the 10 nominees! As usual, I will highlight the potential nominations for this film (regrettably). George Clooney will be nominated for Best Actor and there will also be Supporting Actress nods for Vera Farmiga and Anna Kendrick. Furthermore, Jason Reitman will be nominated for Best Director and the screenplay will be nominated. You may think I shouldn't say "will", but trust me, it will definitely get these 6 nominations. Maybe this movie just went straight over my head, so you should watch it yourself and form your own opinion. Huge cast and reminds me so much of "Love, Actually". Also features Taylor Swift, Taylor Lautner, Joe Jonas, Queen Latifah and George Lopez.